Looking For A Better Appreciation Of The Mass? Here’s Your Answer! I’ve always been a fan of the products offered by Midwest Theological Forum. 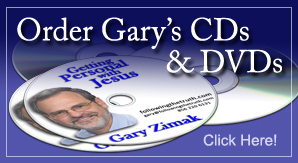 Their Didache Series of books is one of the best Catechetical resources that I’ve seen. Among the topics covered are the Sacraments, the Church and the Bible and I highly recommend them for private or group study. 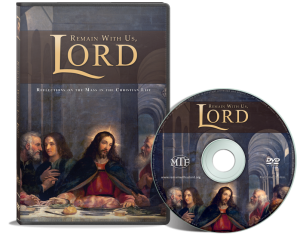 Today, however, I’m writing about their brand new DVD, Remain With Us, Lord. The 33 minute explanation of the Mass features interviews with Fr. Robert Barron, Archbishop Jose Gomez and several parishioners who share some personal observations about the Mass. As each part of the Mass is discussed, you’ll find yourself gaining a greater appreciation and understanding for this tremendous gift. Perfect for new and returning Catholics, teachers or students of RCIA and small faith sharing groups, this video presentation will explain the Mass in an entertaining and memorable way. 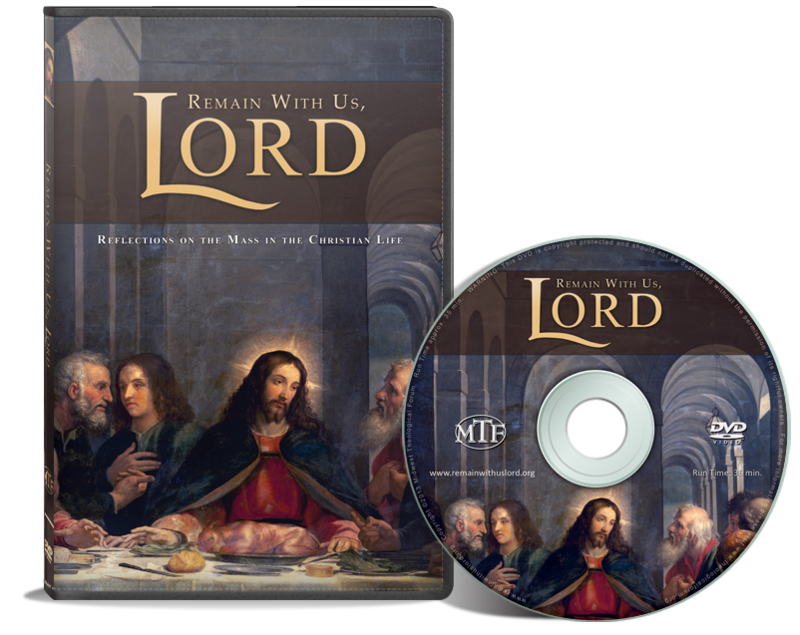 For more information or to purchase the DVD, please visit the Remain With Us, Lord website. For the second consecutive day, the gospel reading from daily Mass presents a story of someone who was dejected…and shouldn’t have been! Just as we saw yesterday with Mary Magdalene at the empty tomb, the 2 disciples on the road to Emmaus were sad about the Lord’s death and didn’t realize that He was right beside them! As He did with Mary, Jesus reached out to the men and they finally recognized Him after He “took bread, said the blessing, broke it, and gave it to them”. Do those actions sound familiar? They should, because that’s exactly what happens at Mass! One of the biggest mistakes that we make is to walk around sad and gloomy, forgetting that the Lord makes Himself available EVERY DAY in the Holy Eucharist. As Catholics, we are blessed with a privilege that seems too good to be true. Jesus Christ, our Lord and Savior, is present to us, Body, Blood, Soul and Divinity. 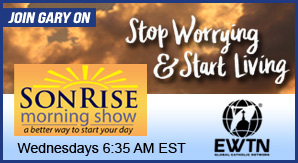 the only thing you have to lose is your gloom and misery! With Mary Immaculate, let us adore, thank, implore and console the Most Beloved and Sacred Heart of Jesus in the Blessed Sacrament. 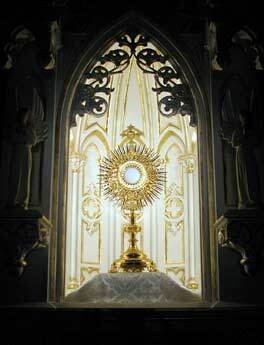 O Divine Jesus, lonely tonight in so many Tabernacles, without visitor or worshiper, I offer Thee my poor heart. May its every throb be an act of love for Thee. Thou art always watching beneath the Sacramental Veils; in Thy Love Thou dost never sleep and Thou art never weary of Thy vigil for sinners. O lonely Jesus, may the flame of my heart burn and beam always in company with Thee. 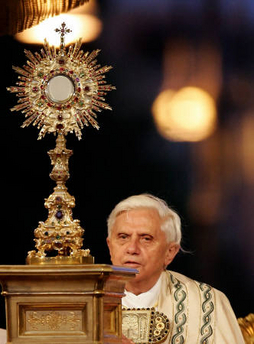 O Sacrament Most holy, O Sacrament Divine! All praise and all thanksgiving be every moment Thine! Why Everyone Should Be Catholic! Disclaimer: If you’re expecting a long, detailed theological dissertation, let me apologize in advance. Being somewhat of a simple minded person, I’m going to present a basic reason why I believe everyone should be Catholic. On a very broad level, everyone should be Catholic because the Catholic Church contains the fullness of truth. However, since this can be a little abstract, I’m going to offer a reason that is a little easier to grasp. One of the great things about being a Catholic is our belief in the Real Presence of Jesus in the Eucharist. Just to make sure that everyone understands me, let me elaborate a bit. In the Eucharist, what looks like a round piece of bread (or a wafer) and what appears to be wine is actually Jesus. You got it, it’s REALLY Him – Body, Blood, Soul and Divinity! It’s not a representation, it’s not some sort of spiritual presence, but it is actually Jesus Christ. As a member of the Catholic Church, I get to pray before Him and receive Him every day! If your “fluff meter” is going off, I suggest you back up and read this last paragraph again. I wasn’t speaking figuratively and I wasn’t referring to anything abstract. As a Catholic, I take Jesus at His word (John 6:22-71) and believe that He is fully present in the Eucharist. It’s Him! This past Saturday night, as I do each week, I visited the local adoration chapel and prayed before Jesus in the Blessed Sacrament. Before doing so, I put out a notice on Facebook asking for prayer requests. As usual, I got a few responses, but most ignored the offer (By the way, don’t tell anyone, but even though many of my Facebook friends ignore the invitation, I pray for them anyway. After all, what kind of friend would I be if I saw Jesus face to face and didn’t put in a good word for them?). Interestingly enough, one person replied with a “thanks, but no thanks” indicating that he’ll talk to Jesus Himself. While that is strongly encouraged and definitely possible, I replied that unless you’re Catholic and believe in the Real Presence, you’re passing up meeting the Lord in person and settling for a “phone call” or “email” instead. As expected, he disagreed and made a comment about tolerance and love. We did agree to pray for each other, but I got the feeling that I should write some more. As baptized Catholics, we are all called to evangelize (sorry, fellow Catholics, but it’s true!) and that means sharing the “Good News” of our Faith with others. Unfortunately, some people don’t want to hear what we have to say. There’s no getting around this. It happened to the prophets and it even happened to Jesus. As Catholics, we believe that we have the fullness of truth and that our Church was founded by Christ (Matthew 16:18). Why wouldn’t we want to share that truth with others, especially if it gives them a chance to TRULY meet Jesus? Again, no “phone calls”, “letters” or “emails”, I’m talking about a chance to REALLY meet HIM! I would have to be a real jerk to keep that to myself! My statement that “everyone should be Catholic” doesn’t mean that I think I’m better than anyone or part of an exclusive club. Rather, it means that I’ve found the “pearl of great price” and I want to share it with others. In other words, I’d like to invite everyone to become a member of the Church founded by Christ. In the meantime, if you’re not a Catholic and you don’t want to be, you better believe that I’ll be tolerant of your beliefs. In fact, I’ll be happy to pray for you and ask you to pray for me. We can even discuss the beliefs that we share in common. And when I visit Jesus each week, I’m still going to put in a good word for you. 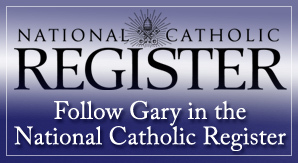 If you decide that you want to meet the Lord in person, contact your local Catholic parish or send me an email (gary@followingthetruth.com).